I can't publish any workflows, I get the error "Unexpected error on server associating the workflow" when it gets to the validating workflow stage of publishing. 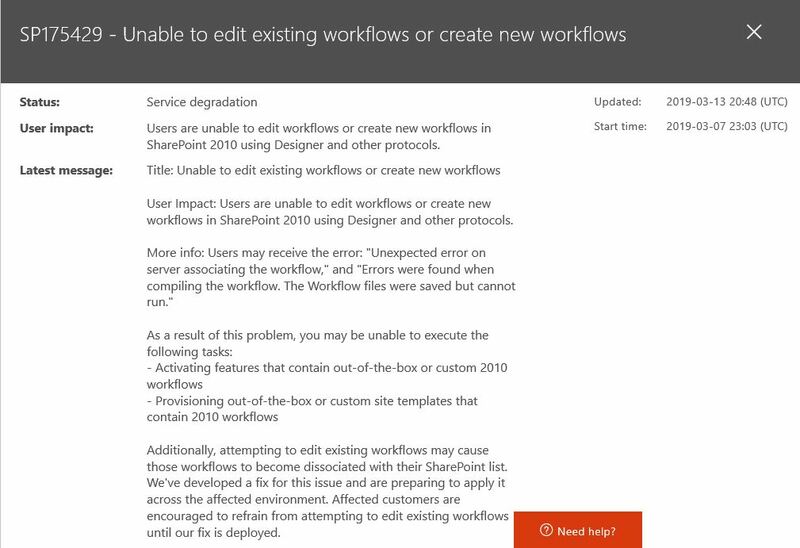 I can't go to the list's workflow settings through the sharepoint online, either, it just throws up a "Sorry, something went wrong" page. I also can't go to a particular instance of a single workflow on this particular list... Say I have workflow_A and workflow_B, I can click on the blue hyperlink of "completed" of workflow_A, but clicking on the "completed" hyperlink of workflow_B will provide the "Sorry, something went wrong" page. Other lists, their workflows and their workflows settings are fine and function as expected. I attempted to make a new workflow on this list, but no matter how simple (rename the title, for instance) it will not publish. I am so damn lost, and I dont know enough to be able to fix it. It's like the list's files need to be validated or recreated, but I don't want to go delete them willy-nilly. Browse other questions tagged workflow error online server or ask your own question. Document approved without major version?